The 2018 Datsun GO and GO+ Facelifts are all set to launch tomorrow. Ahead of the launch, we give you our expectations of the engine specs, features, mileage and more from both the cars. Well, its just the start of the Festive season and we already have 4 big launches. The first one was Aspire Facelift, then 2018 CR-V and the new Santro. Now left is the facelift of Datsun GO and GO+. The Datsun hatchback and MPV are set to launch tomorrow. Despite being one of the cheapest and most feature equipped hatchbacks in India, both the cars have failed to make desirable sales figures. However, the 2018 Datsun GO and GO+ get many new features like a 7-inch touchscreen system, Android Auto and Apple CarPlay, ABS and more. So, here check out our price expectations and other details ahead. Datsun GO and GO+ have been revealed for the Indonesian markets. 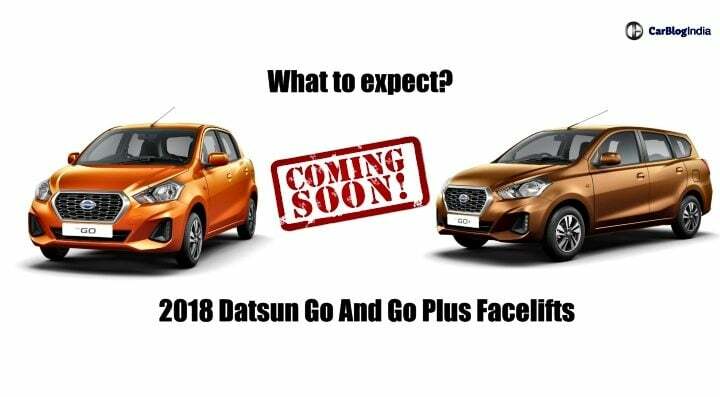 Tomorrow, on 10th October, Datsun is launching both the facelifts. 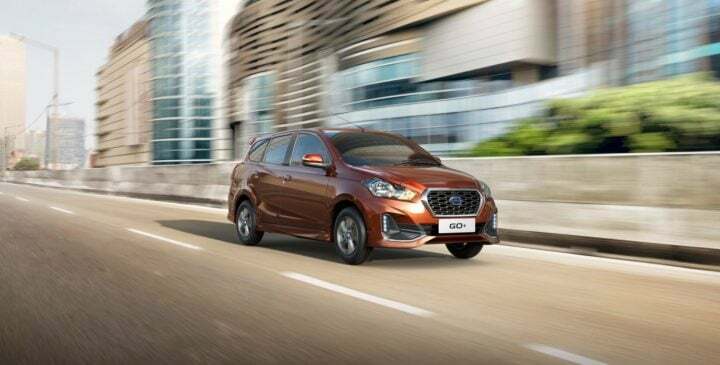 Considering the added features, the CVT gearbox and cosmetic changes, the price range of GO and GO+ is expected to rise. According to the Indonesian version, 2018 Datsun GO is priced starting from Rs 4.90 Lakhs and GO+ is priced starting from Rs 5.34 Lakhs (both ex-showroom). 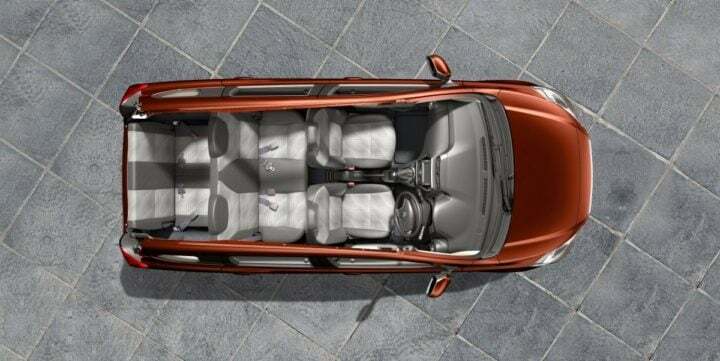 The Indian version of the hatchback is expected to start from Rs 4 Lakhs and the MPV is expected to start from Rs 4.5 Lakhs. On the exterior, and GO+ receive a new bumper, an upgraded hexagonal grille and new vertically stacked LED DRLs. GO and GO+ copy some of the elements from the GO Cross. It also gets Electric ORVMs with turn indicators, a rear wiper with washer, rear spoiler and an external lock system. The new 14-inch alloys also look better than the old ones. Datsun also offers front splitter, rear defuser and side skirts as an option. Moreover, the GO and GO+ look different for a change. In the interiors, GO and GO+ receive a new instrument cluster with a redesigned all-black dashboard. Also, they get a new 6.75-inch touch infotainment system with smartphone connectivity, which was pending for a long time. Other added features on the cars include added rear power windows, power steering, a new mobile docking system and a USB port for charging. Also, the rectangular AC vents of the car replace the circular AC vents. In terms of safety, both the cars get dual front airbags, ABS, EBD with Brake Assist and auto headlamps. Also Read: Upcoming Cars Under 10 Lakhs! Currently, GO and GO+ run on a 1.2 Litre 3-cylinder engine that produces 68BHP worth power and 104 Nm worth torque. The facelifts will continue with the same engine. Both the cars are mated to a five-speed manual transmission. There are chances that an AMT gearbox might come with the facelifts. Both the cars deliver a claimed mileage of 20.61 KMPL. GO is an entry-level car and it competes with Hyundai Eon and Maruti Suzuki Alto. On the other hand, GO+ is a five-seater car with MUV looks and a very big boot space. So it does not have any direct competition as of now, but it indirectly competes with GO’s competitors. New 7-inch touchscreen infotainment screen, A new mobile docking system with Bluetooth connectivity, Front and Rear power windows and a Rear wiper and washer.